Born in Moosejaw, Saskatchewan CANADA, Blanche Borgen was a great hockey player turned figure skater, one of 5 or 6 sisters. After winning a public event of ice dancing with a partner in Montreal, she was invited to Hollywood, CA to skate in a popular film. 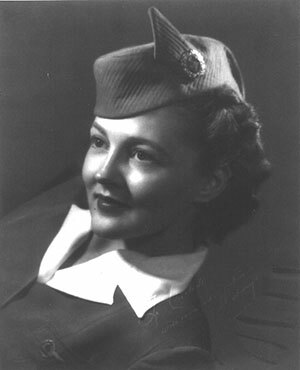 Returning to Canada, Blanche studied nursing and qualified as a top stewardess with a cross Canadian airline. into this world, this Babb family, the employees and their families, by an apparent act of a loving God. Thank you for inviting my comments. Charles, Welcome and thanks for all of this detail that we would never know without your generosity with the Flight Museum. I’ve been working to establish your line into the Master Tree, but have lacked some context to make the connection. I’ll email you privately with the details of what I know and what pieces I’m missing.